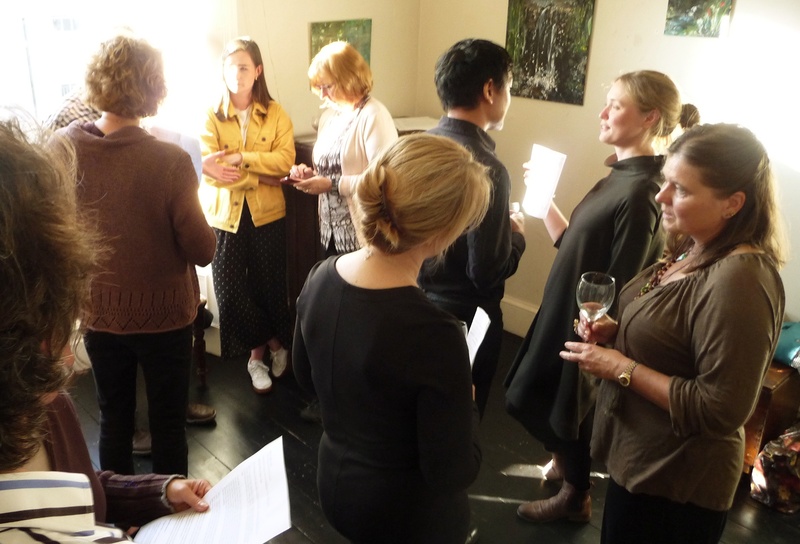 Saturday’s Private View of Wells of Arthur’s Seat was a wee oasis of healing, arts and magic! 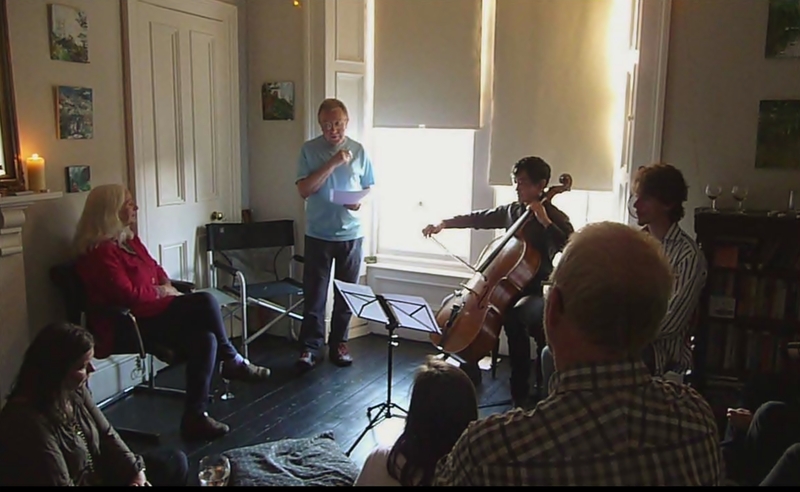 I look forward to sharing the poems and music (I’m editing video tomorrow), which I hope will convey the atmosphere created on Saturday – the sense of calm – of water, flora and fauna, and my delight at the way Atzi Muramatsu and Alan Spence interpreted this. 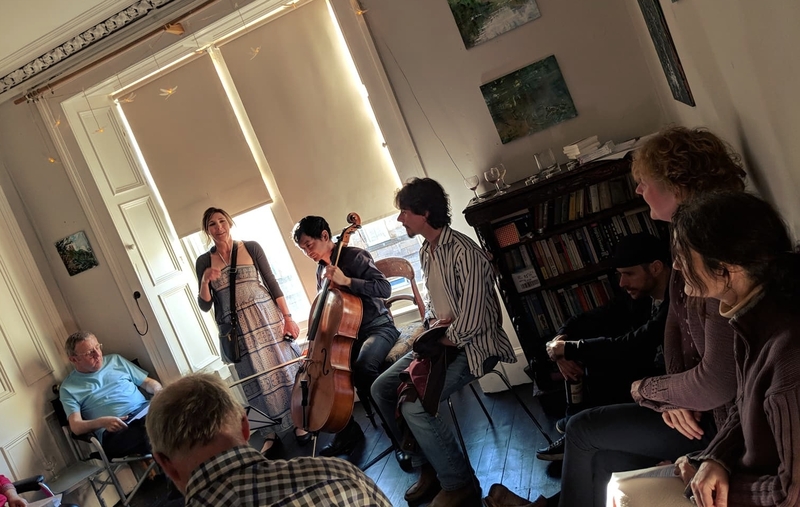 The highlight of the evening, for me, was Alan Spence reciting his poem Frog, with Atzi finding sounds on his cello that captured the very essence of water, or the spring of a frog’s legs as it plops into the water! Alan introduced this frog poem last of all, describing how the Haiku poets (particularly Basho, and Japanese artists) often referenced the frog. That really made me smile! The pleasing simplicity and evocation of happiness in nature – especially after all my walks in Hunter’s Bog on Arthur’s Seat this past year. 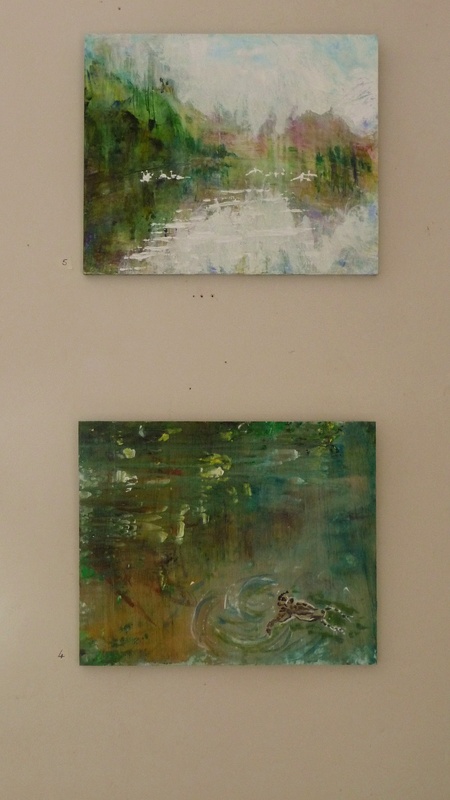 In the next two weeks I’ll post a video featuring the music, poetry and paintings. (We will also be developing the project in September this year, to show to a bigger audience). Atzi and Alan, for inspiration, and love of the arts. Donald, Sabine, mum and Catherine for helping make the event happen, and their support and enthusiasm. David Finnie, for buying my paintings and being such a welcome presence at these events, as are his wife Fiona and daughter Sarah, for such friendly and responsive presence. 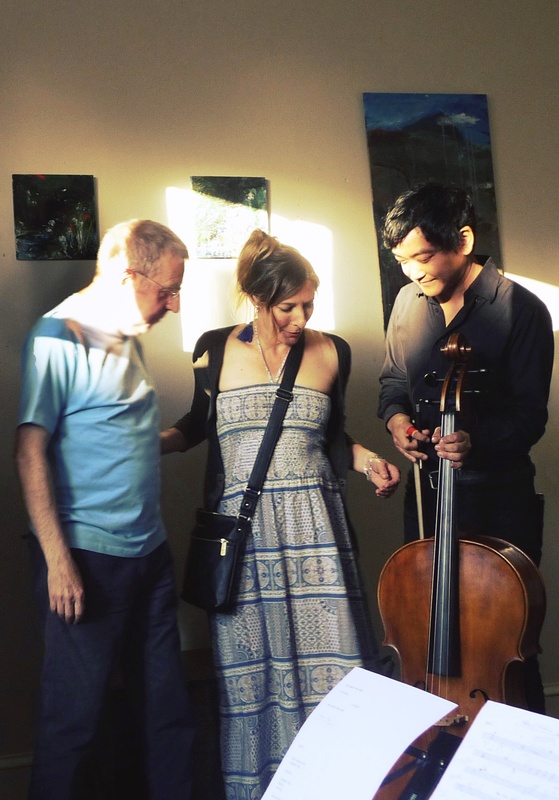 As the windy rain transmuted to a vibrant sunset, Rose Strang shared a very special collaboration with Atzi on cello and Alan Spence on verses of haiku. 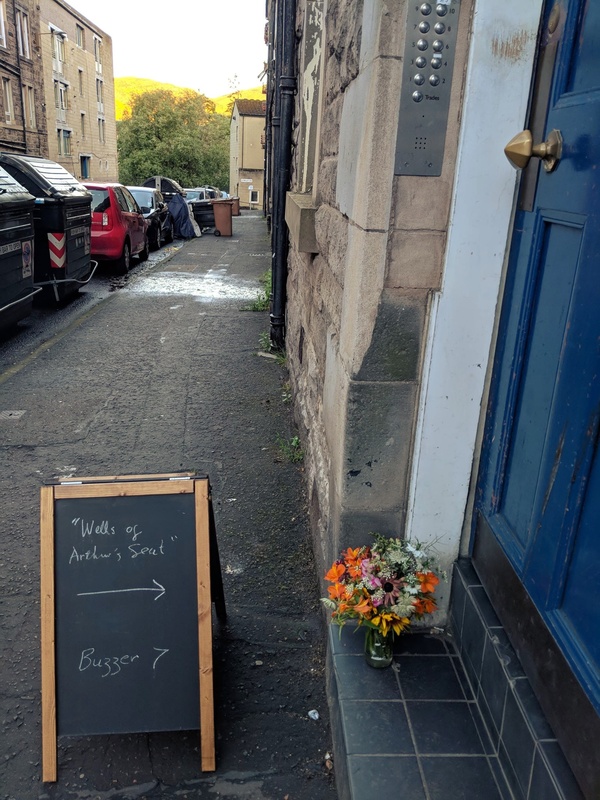 The paintings sang of Arthur’s Seat and St. Anthony’s Well within, while the strings bounded high and sunk low, and the colorful haiku captured the rhythm of the place. Congrats and thanks for sharing your spirit and work. Thanks to all for coming – you’re always welcome! This entry was posted in Uncategorized and tagged Alan Spence, Arthur's Seat, arts in Edinburgh, atzi muramatsu, basho, frog poems, frogs, rose strang, scottish cellists, scottish landscape artists, scottish poets on June 18, 2018 by rosestrang.